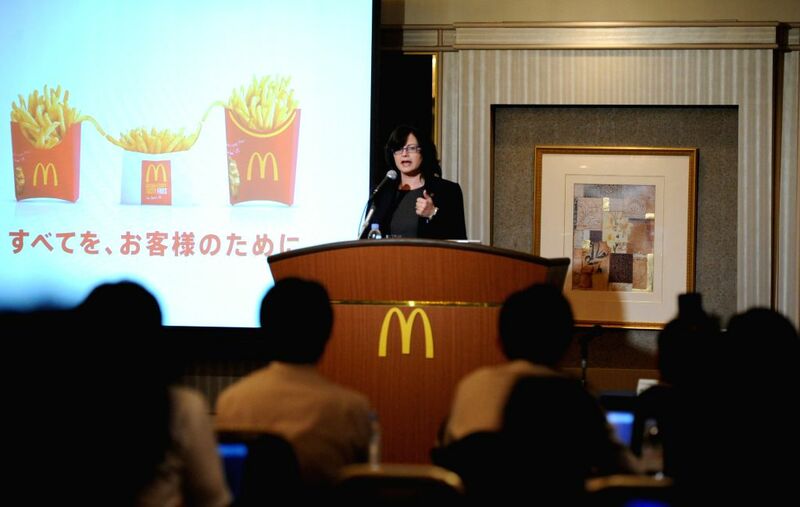 TOKYO, July 29, 2014 - Sarah Casanova, President and Chief Executive Officer of McDonald's Holdings Japan, attends a press conferece in Tokyo, Japan, July 29, 2014. McDonald's Holdings Japan announced its financial report and expressed its apologies concerning the recent food scandal. 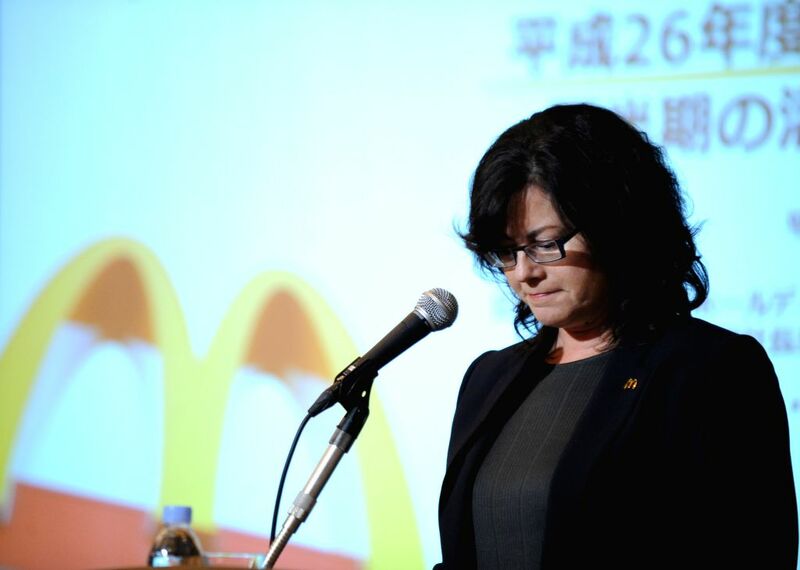 Sarah Casanova, President and Chief Executive Officer of McDonald's Holdings Japan, speaks during a press conference in Tokyo, Japan, July 29, 2014.